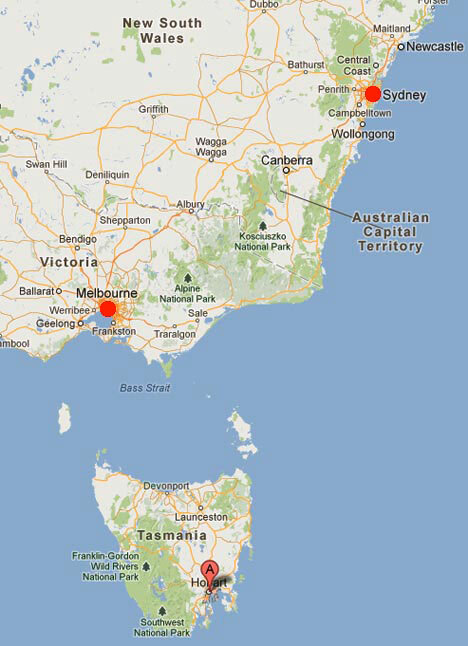 Tasmania is an island state, part of the Commonwealth of Australia, located 240 kilometers (150 mi) to the south of Melbourne and the Australian continent, separated by the Bass Strait. Tasmania is thought to have been a part of mainland Australia until the end of the last ice age 10,000 years ago when sea levels rose and made Tasmania into an island. 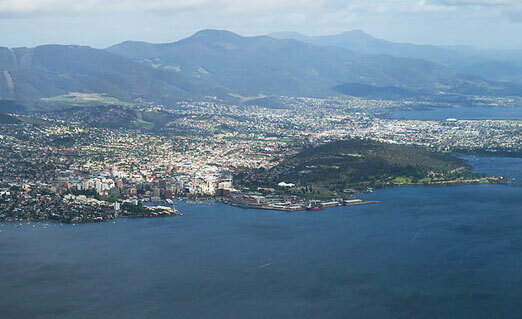 Hobart, Tasmania, population 211,000, with its large port and international airport, is a gateway to East Antarctica and the Southern Ocean for scientific research expeditions and cruise ships. Image © 2011 by J. J. Harrison. March 10, 2013 Hobart, Tasmania - Early Saturday morning, March 2, 2013, something happened on a dry grass hill in Hobart, Tasmania, that caused a localized fire shown in an Australian Broadcasting Corporation News photo below. Even though there is a strict ban on fireworks in Tasmania because of the fire hazard in their 2013 hot, summer drought, officials speculated the cause was somebody's fireworks. But not confirmed. Next PostNext Earth’s Changing Magnetic Poles – Any Threat?